Bobby’s struggles are well-known, as he is the most famous chess champion in the history of our country, but also a sad figure that has earned much pity. From an early age, Bobby was wary of governments, spies, Jews (although he is one), Communists, CIA agents, wire taps; you name a conspiracy and Bobby Fischer thought it was true. But his genius was unparallelled, his ability to play chess unmatched, and his mind unequaled. That he became a grandmaster so young wasn’t really a surprise, but his outbursts of paranoia & suspicion were, putting an early end to his quest to be World Champion. But this failure to defeat the Russians at a game they dominated would serve as fuel later in his life, and at a time when America was competing with that country in all things. Bobby would become a patriotic figure as he attempted to reenter the professional chess world, all the while battling his own mental unbalances and fighting against his own fears. 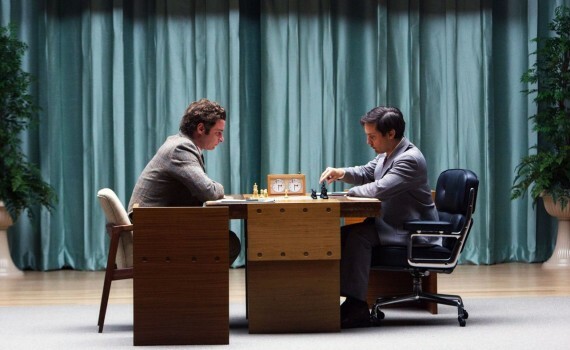 This is the true story of the rise & fall of Bobby Fischer, set against a Cold War backdrop and covered in remade journalism. Edward Zwick was the perfect director for this project, and brought a certain Hollywood normalcy to the film in a way that screamed biography. Glory, Legends of the Fall, Courage Under Fire, The Last Samurai, Blood Diamond, Defiance; these Zwick films are all more action-packed, but present themselves in a common way, with rising drama and a somewhat cheesy climax. Zwick gives the people what they want, sets his stories up to succeed, which feels more 90s than it does 2010s, but works well enough with your average audience member. 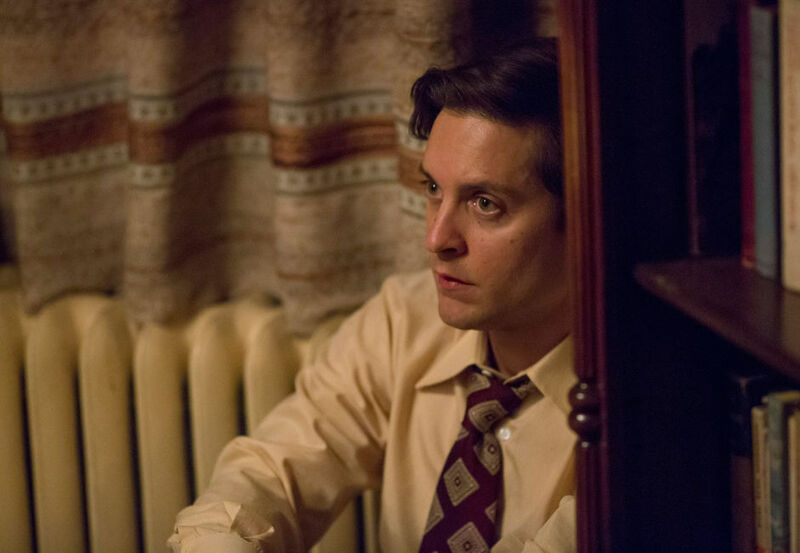 In this way, Pawn Sacrifice worked as well, delivering a true story, adding in humor, taking us down into darkness, and raising us up when we needed it most. It’s a recipe that produces quality films, if not staggeringly meaningful ones, and here is another example. And yet the movie falls short of greatness due in fact to a few key elements. One is Tobey Maguire. He was perfect for the role, looks the part, uses his youthful appearance to his advantage, but never quite becomes the hero we needed. Bobby Fischer isn’t a heroic character really, which Zwick always uses to save the day when the content of his films begins to buckle. Maguire’s portrayal of Fischer was confused and angry, paranoid and scared, but never sensitive enough to warrant our rooting for him. 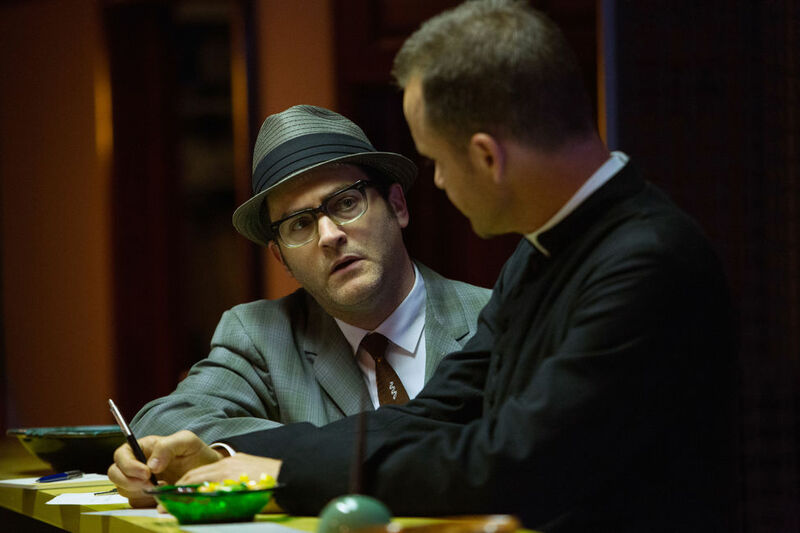 I liked the side characters much more; Stuhlbarg as the sleazy lawyer, Sarsgaard as the friendly priest. They were locked in a bit more, while Maguire was left to convince us that this madman could turn his madness off & on at will. The story itself was a bit repetitive, focusing a ton on gameplay (look at that move, he’s a genius, why’d he do that?!) and sensory sensitivity (that light bulb is buzzing, that clock is ticking, that man coughed). The film had an opportunity to explore that topic on a deeper level when Liev Schreiber’s character began to experience that paranoia too, but by then the whole thing was ending and it was time to go home. Pawn Sacrifice is a fine film, a good biography, but not special enough to stand on its own as an Oscar-winner, let alone something you’ll remark upon years from now.